A hit-and-run story such as this tends to weight a bit heavier on families as kids start going back to school. In this case, the driver was sentenced to one year in jail and four years of probation for hitting a Highlands Ranch jogger. A 32-year-old man, of Highlands Ranch, hit a 49-year-old female jogger with his vehicle on the morning of Tuesday, Sept. 29, 2015. The suspect turned himself into police within 36 hours of hitting the Highlands Ranch woman. The woman, who was reportedly training for a marathon, was discovered lying on the ground and bleeding near the side of the road at South University Boulevard and Crossland Way. She was transported to the hospital for treatment, and was listed in critical condition the night of the accident. On June 10, Mr. **** was sentenced by District Judge Richard Cashette to one year in jail for careless driving causing injury and four years of probation for leaving the location of a serious bodily injury. In 2014, a total of 4,884 pedestrians died and an estimated 65,000 were injured in traffic accidents in the United States alone. 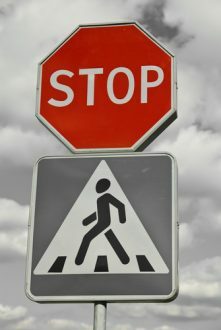 There were a total of 4,813 traffic crashes each, and each one had one or more pedestrian deaths. The 4,884 pedestrian deaths in 2014 were a 2 percent increase from 4,779 pedestrian fatalities in 2013. In 2014, 26 percent of pedestrian fatalities occurred from 6 p.m. to 8:59 p.m. In 2014, almost one-fifth (19 percent) of the children from birth to 14 years old were killed in traffic crashes as pedestrians. In 2014, alcohol appeared to be a main factor for the driver and/or pedestrian in most fatal car accidents. In 2014, 90 percent of the pedestrians killed in traffic accidents involved a single vehicle. Every year countless people are injured as a result of car accidents, and if you suffered injury you are entitled to justice. In order to make you are award compensation for damages and the offending party is punished, you’ll need a champion for justice. That’s why you should contact a trusted Littleton Car Accident Lawyer at Bahr, Kreidle & Flicker to set up a. Since 1983, our car accident attorneys have been winning cases on behalf of injured people and standing up to reckless drivers who need to be held accountable for their actions. Let a professional legal team handle your personal injury case, call us for a free, initial consultation at (303) 794-7422 or email us using the contact form on this page. 1“Hit-and-run driver sentenced to one year in jail” published in the Littleton Independent, June 2016.